cbcsolutions | CBC Solutions, Inc.
Business owners understand the benefits of the Cloud. We’ve all seen it in action to some degree or another. Cloud hosted websites, Gmail/Google Apps, Social networking sites, dropbox are all common services available to the average person. Most businesses have hear of Salesforce, Zoho, Office 365, Azure and Amazon Web Services. However, there are many more beneficial services emerging as cloud computing makes its way to the mainstream. You may have even benefited from some of these services without even noticing it. When managing a facility that is larger than one access point can support, or when several advanced features are needed, such as Active Directory integration, multiple SSID’s, roaming and Guest Services, a cloud based wireless LAN can be a very inexpensive way to achieve an Enterprise level services. For Hotels, office buildings, Airports and resorts (to name a few) that need to have continuous coverage across the facility and provide different guest services where customers can logon to a less secure WiFi access point with little more than a room number and password to authenticate to, consider this. Managing access control on multiple access points and allowing mobile users to drop one access point and instantly pickup on another when roaming from on location to another, you would need several access points, a management server and middleware application that translates security from each access point to a central authentication system. In contrast, a cloud based system will allow you to have all these features with just the access points. From a central website, you configure the features and security you wish, then use profiles to automatically push that configuration to the access points in real time. All you need is the access points and the service. There is no other equipment to buy and best of all, you can manage access in multiple locations even if the locations span geographical areas that are not even connected to one another! We’ve all seen the new form of cash register these days. The ones that look like an iPad on a stick with a credit card swipe and a cash drawer, but did you know that many of those are cloud based? The service is turnkey. You sign the contract and get an online ID, all the equipment and a web-based account to track all your transactions, subscriptions, gift cards & coupons. There is virtually no equipment to buy and all you financial transactions are centralized. This is especially beneficial if you have aging hardware, struggle to meet the new PCI requirements or need to integrate your sales with an online store. The systems can further integrate with popular book keeping applications weather in the cloud or on premise. Since its a managed system, you spend less time manually doing you financials and more time running your business. Hosted PBX is the latest cloud based service to reach the common business. Instead of buying a complex phone system that includes voicemail servers, line switching cards, inter-office controller boards, proprietary phones and paging systems, a Hosted PBX system gives you all the features of an Enterprise system for little setup and a per-user monthly rate. You don’t have to buy any equipment and new services can be turned up in an instant. This is by far one of the most beneficial uses for the cloud yet. With a Hosted PBX, you’re instantly integrated with all your remote sites, home users and mobile phones. All your upgrades and security concerns are just taken care of and there’s no need to hire an expensive phone technician every time you have to make a change. Also, since the voice traffic is Internet based, there is no wait time when moving offices. There are way more benefits to list from this exciting service. For more information read What Can A Hosted PBX Offer You? When it comes to Internet speed and reliability, the service alone is not the only answer. Sure, providers are always ready to promise high speed and low downtime, but can they really deliver? One type of often overlooked cloud service is known as Software Defined Wide Area Networking, or SD-WAN. That sounds like a mouthful but it’s actually quite simple. An SD-WAN provider knows about the common cloud services you utilize such as Salesforce, Amazon, Azure, Office 365 and so on. They also know your location. Through intelligent software, they monitor all the hops between each point and create the fastest route from you to your providers. This maximizes speed and steers you around Internet traffic jams that aren’t your providers fault. Also, an SD-WAN solution will make sure you always have a route to your destination. Traffic is dynamically re-routed to avoid outages. You can utilize any number of providers. Another name for this type of service is Redundant Internet Service Provider, or RSIP. RSIP services boast a 600x increase in speed. Want to know more, contact us today and let us show you the possibilities. Information systems can become complicated machines and grow out of control in a very rapid manner for even the smallest businesses. Indeed, even the individual person can fall into this trap. In an era of Smart Phones, GPS, Smart Watches and even connected appliances, the average person can have a plethora of technology without even realizing it. Businesses face the same dilema on a much stronger scale. For businesses, everything is connected. You can’t even get your car smogged without a shop full of computers connected to the Internet. Cloud Computing has helped this reality by making Enterprise level services available to the average small company at an affordable cost. However, this poses a problem. With all these affordable and scalable services, it’s too easy for companies to get locked into a long term contract with a service that may or may not work for them in 2 or 3 years. It’s also too easy to get distracted with the latest bells and whistles and miss the bigger picture. As Technology Consultants, we often find ourselves in the business of helping companies sort through the minutia and get their IT costs under control. We do this by following some simple guidelines to approaching a new or existing solution. A good business process should be documented well to define the flow of information throughout the organisation. Prospects -> Leads -> Opportunities -> Accounts -> Invoicing, etc. Having well documented flow helps to define the technical solution. This ensures that the process defines the application. Base price and monthly rates are good, but is that really the overall cost of the service in question? No normally. Initial setup fees, switching costs, learning curves, support and downtime all need to be considered when calculating TCO. Define your business requirements without any specific technology in mind. Your business process should define the technology rather than the technology defining the business process. Why? because if the technical solution drives, the business process, your business becomes a slave to the technology. It should be the other way around. The technology should work for the business. In this day and age, you shouldn’t really have to manually copy information from a field in one application to a similar field in another. For example, if you own a CRM system that contains contact information, you shouldn’t also have to enter the same information into your invoicing system. It should be the same information. Otherwise your doubling efforts. Taking a holistic, systemic approach to the way your business used Information Technology is a critical first step in controlling costs, streamlining operations and making your business run like a well oiled machine. Technology is put in our lives to simplify them, not to complicate things. However, many businesses fall into the trap of complexity disguised as convenience. Don’t make the same mistake as millions of businesses. Contact CBC Solutions today to find out how we can help. While many end-users have been receiving new credit and debit cards implanted with the new EMV chip, merchants have been forced to update their systems to take advantage of the new chip technology. Here’s thing most merchants don’t know: new regulations that go into effect on Oct. 1st 2015 could shift the liability for credit card fraud to the merchant. For example, Home Depot went through a fraud debacle in 2014. In that case, customers and banks carried the majority of the liability. If that same event happens after Oct 1st 2015, the merchant could carry all the liability if they are not fully EMV compliant. 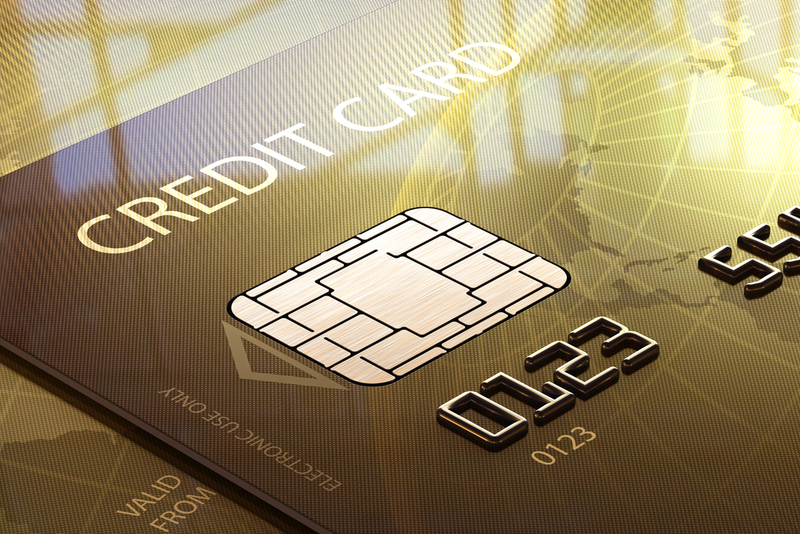 Does the EMV chip technology really help? The way that the EMV technology works, is that when you insert your card into an EMV aware system, the chip generates a one-time access pin through a process known as tokenization. That pin is used to create and maintain the encrypted transaction. The card must stay in the machine throughout the transaction to keep the encrypted session in tact. In this way, the chip improves security and thus reduces the chance of fraud. If the vendor of my merchant systems says they’re compliant, does that mean I don’t have to worry? Not really. The vendor can only guarantee compliance for their own equipment. However, PCI-DSS compliance applies to the entire network that the credit card processing equipment is connected to. In other words, if you plug a fully PCI compliant device into your main network, the entire network needs to be compliant as well. Vendors may say you’re compliant but if they’re not giving you a written guarantee, be cautious of assuming you can stop there. What about ‘card not present’ situations such as online transactions or pay by phone? Card not present solutions are not required to abide by the EMV requirement. All merchants that accept credit cards must be compliant with the Payment Card Industry Data Security Standards (PCI-DSS). Businesses who are found to be non-compliant could be fined as much as $100,000 a month! The cost of fraud is event higher than that. How can I be sure I’m compliant? There are companies out there who can help you become compliant, assess your network on a regular basis and even insure you up to $100,000. Contact us to learn more. We can help. In his book “Start with Why”, marketing consultant Simon Sinek explains that most business leaders can explain what they do and even how they do it, but only the best business leaders can explain why they do it. [http://www.startwithwhy.com] Simon’s explaination for why that’s important is that your business is not going to stand out because of what you do, or how you do it, but rather it’s the sense of purpose that attracts clients, customers and investors to your organization. The same could be said about technology solutions. When we’re analysing business processes and the technologies that tie them together, we often see a lot of energy spent on accomplishing a specific task, rolling out a new project or just keeping a certain process alive. But when we ask why the process exists in the first place, that’s when things get interesting. 9 times out of 10 we get a pretty good answer to start. ‘this happens so that will happen’. ‘Why does that happen?’ ‘So this other thing will happen’ and so on. When we dig in far enough, we often find that some solutions exist for the mere reason that someone thinks it should exist, or at one time someone thought it should exist. In my career, I’ve seen processes that do nothing for the organization but keep IT busy. I’ve seen high speed network connections costing $650 a month plugged into nothing, and sitting for over a year. I’ve seen antiquated technologies up and online simply because no one’s quite sure what it does or if it could be shut down. These add tremendous costs to the organization. Not that it isn’t a valiant goal to make a technology work, but the purpose of technology is to better the business. Often we see that parts of the business exist to support the technology. It should be the other way around. When analysing a technical solution, first start with why the solution exists. Then ask yourself, is that the best way? Only then can you really know if the time, money and risk put into the “solution” is worth it. The challenge on keeping up with the latest technologies is not to have the latest and greatest (those two things are not always mutually exclusive by the way), the real challenge is in knowing why that solution exists and what the real benefit is to the business. Bells and whistles are cool and all. Who doesn’t love a good gadget? But you must consider the risk and cost to the business when implementing it as a solution. Why? because once you integrate a technical solution into the business, the business becomes dependent on it. One of the fastest ways to save money in a business is to find unnecessary costs, processes and technologies and get rid of them. This not only frees up resources, but it makes the entire system more comprehensive. Just as the best business leaders know why they do what they do, the best IT leaders must know the reasoning behind every process and continually evaluate the usefulness of that solution. Can you imagine doing a cost/benefit analysis on something without knowing why it exists in the first place? It actually happens more often than you think. What’s your why? Need help finding out? CBC Solutions was founded on the principle that most consulting shops miss this simple point. That technology must have a purpose in the organization and ultimately reduce costs. If it’s not doing that, it has no purpose. Contact us to find out more on how we can help you find the why in your solutions architecture. Large corporations are growing at an astronomical rate. Big business is offering better services, faster response times and lower prices than small and even mid-range business can afford. If SMB is going to survive, there needs to be a competitive edge that allows them to stand out. Sure there are big benefits to working with SMB. Personalized service, support local business, being there when you want them, flexibility rather than rigid corporate rules, and yes, even pricing can be competitive. All of this means nothing though if your potential customers aren’t reaching out to you or you’re not responding quickly enough. When someone goes to Amazon to buy a product, it isn’t always because they know they can find the best price there. It isn’t free shipping or even a wealth of products to choose from. It’s certainly not because they get a personalized service. It’s because it’s quick and easy. Pull up a website, find the product you’re looking for (and instantly compare it to like products), read reviews and make the purchase. It’s there the next (or even same) day. Easy. So how does a local retailer, for example, compete with that kind of legacy? What must a local retailer do to bring people in their shop and still be able to offer good pricing? Take another example. A local distributor of industrial equipment offers basically the same catalog as Grainger, the mother of Industrial supply, but goes a step further. By calling one number, the local distributor can shop the best rates, and get the product to you faster than Grainger and even find those odd ball parts that Grainer doesn’t have. This offers a competitive edge, but does that alone get customers coming back to them often enough? Maybe, maybe not. Grainger has every part in their catalog and the whole thing is available online as well as a record of what’s in stock. If the customer calls in, waits for the right person to take the call, then waits some more while the local distributor needs to look up the SKU, check the warehouse, reserve the part, then call the customer back to let them know it’s ready and take the order and then, after the order is taken, they send an invoice a week later it puts unnecessary strain on the customer. The customer is touched three or four times just for a simple part. What’s a local business to do? By implementing some simple technical integrations, local businesses can offer a similar ease of use that cuts through the larger competitors. One of the biggest things that sets a big corporation aside is their web presence. It’s not just how good their SEO is, or where they drop on a Google search, but more the interactivity on their site. Let’s take something closer to home. Say, Home Depot. From one site, I can find the product I’m looking for, compare vendors, find out if it’s in stock and at which store, make a list of the parts I need to do a job, even find out what aisle and shelf it’s on. When I go down there, I’m in and out. Every SMB that wants (or needs) to compete with this type of monster should invest a lot in their website. This doesn’t necessarily need to be cost prohibitive however. Little changes mean a lot. A simple relational database integration between supply and a web based inventory system can be cheaper than you think. Online E-Commerce is also pretty affordable. If you ship product, consider a shipping integration that allows the customer to create a UPS or FedEx ticket on order. If you can’t put every product on your website, consider a “featured product of the week”. Highlight some of the hot sellers and keep changing it up. This will allow you to stand out and show off your product line. You don’t need to be an expert web developer to update this daily. One of the best parts of working with SMB is the experience when calling in for something. When you call a local or smaller company and you usually get a human right away that can answer your questions and take ownership of the issue. Call a major corporation like Amazon or Home Depot and you’re likely to have to dial an 800 number, answer 7 choices from a menu, get transferred three times and eventually get someone who can help you. In order to offer fast and complete service on the phone, a Voice over IP (VOIP) system can offer some great features to make sure you don’t miss a call and that your calling is integrated with your normal office applications like CRM, Email, Scheduling and even mobile phones. You don’t need to buy an inordinate amount of infrastructure and equipment to take advantage of this system either. A Hosted VoIP system is a monthly service that provides everything you need. You pay a simple monthly rate for each extension and plug the phone in like a computer. Everything is configured by a web based interface. If you have many different departments, a simple Auto Attendant can get the caller to the right department. If you have experts that are away from their desk or on the phone a lot, a good call routing plan can make sure incoming calls are sent to several phone at once, forwarded to mobile phones, even group voicemails and send to a team email. Sales organizations benefit a lot from this. CRM & scheduling systems linked with outgoing calls can track call volume and conversion rates. Most businesses keep track of internal data. For example a property manager is likely to be tracking lease terminations and they’re probably tracking repairs. But what if they could equate lease terminations to repairs? If a lot of leases are not renewed in a building that has a high repair rate, maybe people are moving out because things don’t work right. This would help determine if renovations are in order and cost-justify it. Most businesses do marketing events of some kind, but how many of them know if those events are paying off? A simple tracking and analysis of event costs to conversion rates can tell you. There’s another thing big business has over smaller ones. They become a household name. If I say buy online, you immediately think Amazon. I’m not saying you need to spam everyone to death here. By you do need to give your customers enough of a reminder that you exist and care about them to keep yourself at the top of their list. Customer Resource Management can help you to know who you’re talking to and about what. This customizable system allows you to track opportunities, events, follow up and even sales pipelines without a lot of work. A CRM that is integrated with Email and Phones can solve the problem of people not putting data into CRM. Other products like Sidekick or Constant Contact can help you determine the popularity of your emails and ensure that an important email thread isn’t dropped. Sometimes it only takes a day for a prospective customer to buy a service from someone else even though you’ve had an ongoing conversation with them. None of these need to be exorbitant and costly systems. It’s simply a matter of keeping your technology aligned with the business. This systemic approach will help you get your IT costs under control, streamline your operations and most importantly, help you gain a competitive edge over the larger competition. For a Consultant, there’s nothing better that to say “Yeah, we can do that” to a customer request. The problem is, what if you really can’t do that? Consultants, Service Providers & even some resellers want to gain their customers trust and be the go-to person for their needs, however, that’s not always the best practice. You’re only going to have so many skills in house. Being a one-stop-shop for your clients is good in theory but it takes the right business model. One of the more common practices is where a Consulting firm tries to be an “everything shop” by hiring staff that function in multiple disciplines. I had a vendor visit me once while I was an IT Director saying her company did “everything”. When I inquired more, she showed me a card that listed over 25 distinct business units. Everything from structured cabling to software development. Having worked for companies like that before, I asked “How many people work for you here?”. She said “12”. That means each person was working 2 or more business units. While that may work from time to time, it isn’t a sustainable business model. Why? Because the companies cash flow comes from billable hours. These 12 people have to be busy 30-40 hrs a week for the company to sustain a profit. As a result, the service they provide is only going to be as good as the people available for that specific job. Take it a step further. What if one person leaves the company? They lose a couple competencies in the process. Replacing that person that has core skills in a couple different (and sometimes unrelated) area is a hiring nightmare. When a company does business that way, it’s hit or miss on every job depending on the available resources. There are firms out there who’s role is that of a Trusted Advisor. Trusted Advisors know the basics of the various business units, but more importantly, they have a large referral network to bring in experts who specialize in a certain area and are available at the time. No temps, but reputable firms who have narrowed down their core competencies. Now, I know what you’re thinking. You’re thinking “why would I hire someone to hire people? I can coordinate that myself”. And if you actually have the time to research companies, interview multiple providers, get quotes, compare service and pricing, sign contracts, deal with disputes and manage the whole project yourself, great! Chances are you don’t. Those tasks take a lot of skill and a lot of time. If you have someone with that kind of time on their hands, you’re probably overstaffed and would be better off outsourcing that when you need it. Also, the cost isn’t as bad as you think. A Trusted Advisor who’s willing to line-item costs should be able to give you a pretty fair deal to take a lot of work off your hands. They’re not easy to find, but valuable to have. Most consultants who want to do everything in house and are not comfortable referring business out. Advisors love bringing in their partners to a job because they know the job will get done right. Trusted Advisors are able to provide a very well rounded service and perform at 100% most of the time. It’s not easy. It takes a lot of research and time spent with the partners, but once that network is built and the effort is made to nurture those partner relationships, we’re able to take on almost everything without having to hire a lot of internal staff to do it. Having the best of the best partners at our disposal, we’re able to truly say “Yeah, we can do that” and be true to our word.